I Was a College Admissions Officer. This Is What I Saw.Even when it’s done legally, the process is a scam. Jared Kushner Shows There’s a Shady-Yet-Legal Way to Get Rich Kids Into CollegeKushner’s dad gave Harvard a $2.5 million donation, and he wasn’t indicted (well, not for that). WaPo: Scott Pruitt Had an Aide Ask Donors to Find His Wife a JobThe EPA administrator’s latest scandal may run afoul of federal ethics rules. On 3rd Thought, Representative Tom Garrett Retires, Citing AlcoholismThe very erratic and vulnerable freshman GOP congressman from Virginia is now going to retire, leaving his party in a less-than-ideal situation. 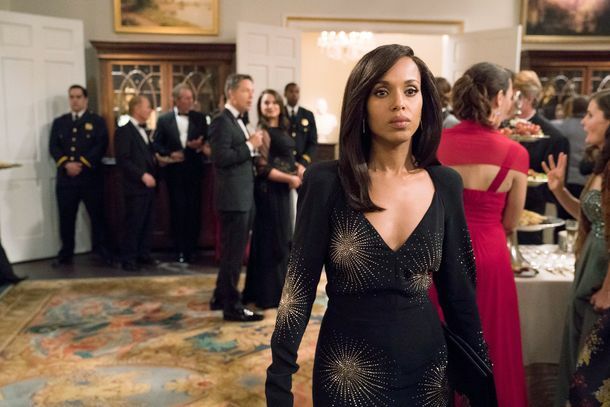 All of Olivia Pope’s Best White OutfitsA celebration of Scandal’s finest looks, from the pilot to last night’s series finale. Scandal Series-Finale Recap: A Gladiator Good-byeA frantic and satisfying ending to the Scandal saga. Every Season of Scandal, RankedRemembering why the show became so beloved in the first place, and eventually became so frustrating. The 9 Best (and Hottest) Hookup Scenes From ScandalFrom banging in a computer closet to Oval Office romps. 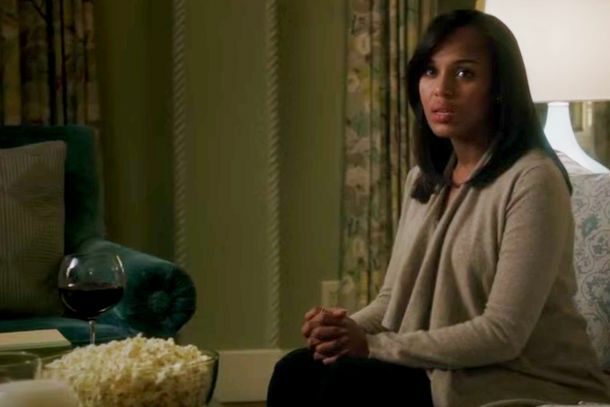 The 23 Greatest Scandal MonologuesNobody can deliver a speech like Olivia Pope. Scandal Was a Show That Broke Ground Like It Was No Big DealIt was a rare revolutionary TV drama that never became full of itself. I Ate and Drank Like Olivia Pope for a Week, and I Didn’t DieBut it was still a very bad idea. Scandal Recap: Truth and Consequences“Standing in the Sun” sprints through 30 episodes of plot in a single, jam-packed hour. Hypothesis: Season Two Is the Best or Worst Season of Every ShowScandal? The best! Friday Night Lights? The worst! Scandal Recap: A Gladiator DisarmedThese final episodes are focused on redeeming the idea of America itself. Scandal Recap: Cyrus for PresidentThe final Scandal battle is the romantics against the power-hungry pragmatists. 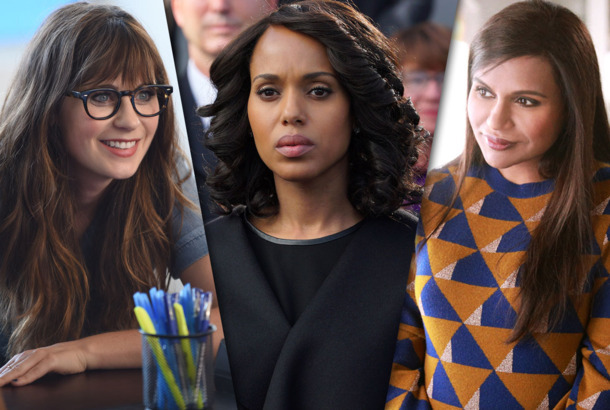 Scandal Recap: Girls Against BoysIn Scandal, D.C. has long been a sexually treacherous boys’ club. Scandal Recap: Nonsense at 20,000 Feet“Air Force Two” is a perfect representation of what Scandal has become. Scandal Recap: Introducing Pope and KeatingNeither Scandal nor HTGAWM has been this fun in a really long time. A Complete Guide to the TV Shows Ending in 2018From the comedies to the dramas and everything in between. Scandal Recap: B613 DeficiencyIt’s difficult to think of another television show that’s been subsumed to this degree by an unworkable plot element. Scandal Recap: A Very Special Intervention“The People v. Olivia Pope” can’t seem to decide what story it’s trying to tell. Scandal Recap: Tuesdays With MarvinThis final season is a lot more experimental and free-wheeling than anyone could have anticipated. Scandal Recap: Death of a GladiatorScandal is the last show on Earth that should be trying a misdirect like this episode does. Scandal Recap: Bad to the BoneThe show is stalling for time with only hours left to wrap up its story. Scandal Recap: No Weddings and Two FuneralsOlivia Pope has officially joined the pantheon of television’s great antiheroes. Scandal Recap: Olivia’s WarWith one shocking explosion, the season jolts back to life. Scandal Recap: Vermont Can WaitAll together now: Olivia Pope doesn’t need to be rescued. Tony Goldwyn Says He Had a ‘Casting Couch’ Experience Early in His CareerReading Lupita Nyong’o’s op-ed inspired Goldwyn to speak out. Scandal Recap: The House in VermontHas there ever been a more boring episode of Scandal? Scandal Recap: The President Needs a VibratorOlivia is getting pushed closer and closer to the edge. Scandal Season-Premiere Recap: Fear of a Black Hat“Watch Me” heralds the birth of a brand-new Olivia Pope. Pro-Life Congressman to Resign Following Abortion ScandalGOP representative Tim Murphy reportedly encouraged his mistress to get an abortion during a pregnancy scare. Your Guide to All of the TV Shows Ending This SeasonFarewell, Scandal. Scandal Season-Finale Recap: It Feels RightOlivia Pope finally turns to the dark side. What TV Is Getting Wrong (and Right) About Abortion▶️ Across all cable-news programs, 64 percent of segments on abortion contained inaccurate information. 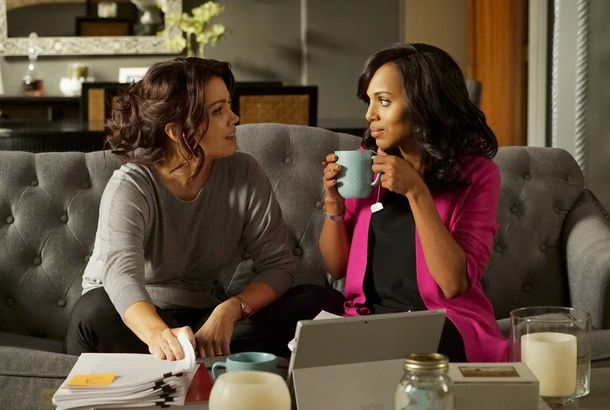 Shonda Rhimes Psychically Knew About Scandal Star Katie Lowe’s PregnancyShonda knows all. Scandal Recap: Mother’s DayIt’s like the good old days on Scandal again.